Make your trip memorable by stocking up on beaded necklaces, clothing and countless other products. Located on the Burka Coffee Estate, products from Shanga are sold around the world and make great gifts for your friends and families. Visit Woodland’s Café for the best pizzas in town. You can also try Spanish tapas and some great salads. Did you know that Arusha is surrounded by a number of coffee plantations? Make the most of your visit by stopping by Africafe on Boma Road to indulge in the best pastries in town. The Fig and Olive is a renowned restaurant which you do not want to miss out on, especially if you are a fan of Lebanese/Mediterranean food. Are you a fan of clock towers? The Clock Tower circle is a popular tourist attraction, built in the 1950s. Urban legend states it is the central point between Cairo and Cape Town. This is not true, but the tower still remains tall to this day. Climb your way up to the summit of Mount Kilimanjaro through the Shira Route to explore fascinating rock formations on the plateau. 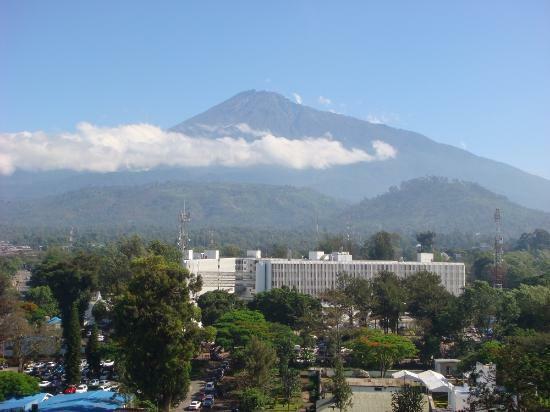 Take a tour to Arusha National Park, home to the second highest peak in Tanzania. The park features a number of fascinating animals, including blue monkeys and colorful turacos. Make your way to the marketplace to stock up on fresh fruits and produce or purchase beaded work. Enrich your mind with the cultural heritage of Tanzania by making a stop at the Cultural Heritage Centre. The Centre combines a coffee shop, spice centre, restaurant, and tiny shops where you can purchase African antique along with arts and crafts. The Meserani Snake Park is home to 50 species of Southern and Eastern African Snakes. The snake park also contains a bar which serves as treasure trove of memories left by travelers. Travelers from all around the world leave behind t-shirts, bottle tops, and more to decorate the walls of the bar. Visit the Natural History Museum to learn about the History of Arusha during the German colonial era. Are you in the mood for some drum lessons? Head over to the Via Via Café located behind the Natural History Museum. Apart from drum lessons, you can also take up cooking classes. Blue Heron is a garden restaurant that also includes a lounge bar and family restaurant. Take the time out to enjoy with your family under the leady verandah. Bay Leaf is Arusha’s most renowned European restaurant, featuring dishes as WestKili lamb shanks and Fig primavera. Damascus is a casual spot where you can make an appointment and cook your own meal over a charcoal stove.